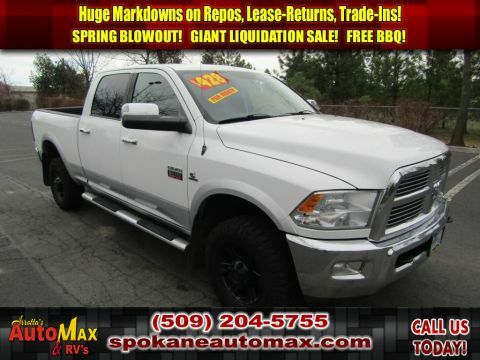 This 2012 RAM 3500 ST 6.7L 4X4 DIESEL TRUCK has a track record of being very tough and durable. The 3500 is a great vehicle for families. 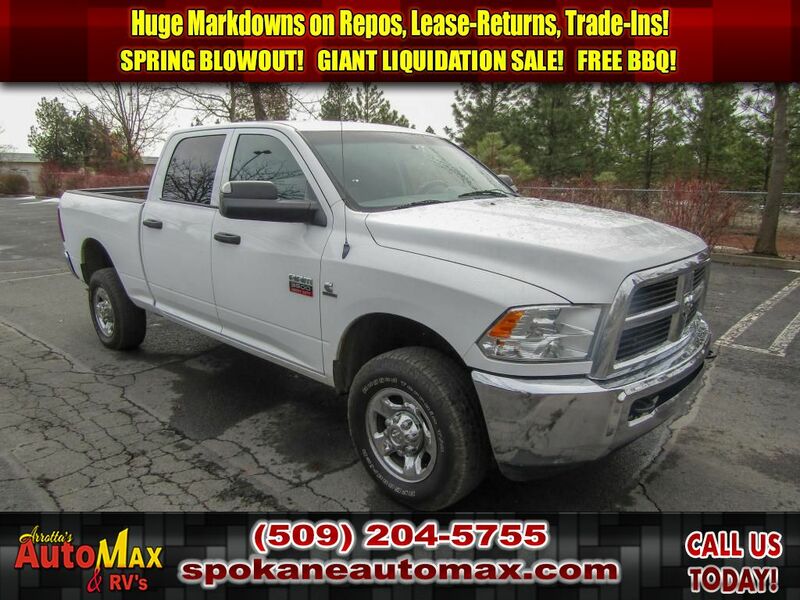 The speed and passing capabilities of this Ram 3500 will impress. 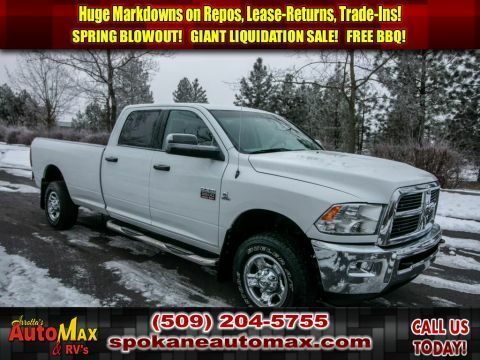 This 2012 Ram 3500 sips fuel. This unit will stick to the ground on the sharpest of turns. With exceptional handling, you will enjoy every curve of your favorite roads. This unit has quick acceleration. Has plenty of room for the whole family! That makes the 3500 perfect for the long summer road trips. With these performance numbers, you won't be disappointed when you take it for a test drive. It has dependability you can trust. The vehicle comes standard with numerous top of the line safety features. It has the durability you can depend on as the miles tick away. The 3500 is a versatile vehicle. It handles exceptionally well in the snow and ice. This model has a 6.7-liter high output engine. When you encounter slick or muddy roads, you can engage the four wheel drive on this unit and drive with confidence. 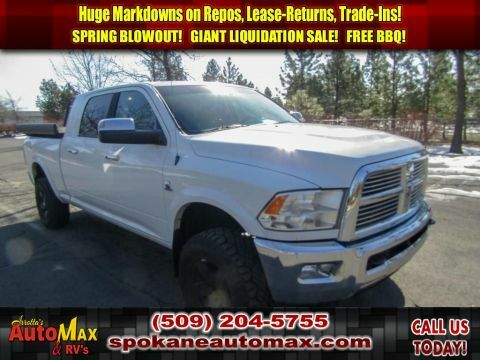 With a diesel engine, you will be pleased with the power, torque, and fuel efficiency gains. This model embodies class and sophistication with its refined white exterior. Anti-lock brakes will help you stop in an emergency. This model has air conditioning that feels like a walk-in refrigerator. The 3500 has an aux input for mp3 players. The 3500 features cruise control for long trips. The Electronic Stability Control will keep you on your intended path. The vehicle has fog lights for all weather conditions. This 1-ton pickup is equipped with front airbags. It is equipped with front side curtain airbags. No repair kit necessary; the 3500 includes a full-size spare tire. Bluetooth technology is built into this 1-ton pickup, keeping your hands on the steering wheel and your focus on the road. Power windows are a must have modern convenience. The satellite radio system in it gives you access to hundreds of nationwide radio stations with a clear digital signal. The tilt steering wheel in this unit allows you to adjust the driving experience to fit you. The vehicle features tinted windows. The supply is limited! If you are serious about this vehicle, we recommend you move fast.